Located at the confluence of the Steyr and Enns rivers, in the region of Upper Austria, at a distance of about 45 minutes to southeast from Linz and at two hours from Vienna and Salzburg, Steyr is a town with 40,000 inhabitants and is one of Austria’s best kept secrets. 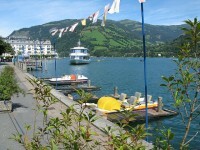 Even if the city is a beautiful tourist destination it is not very crowded. 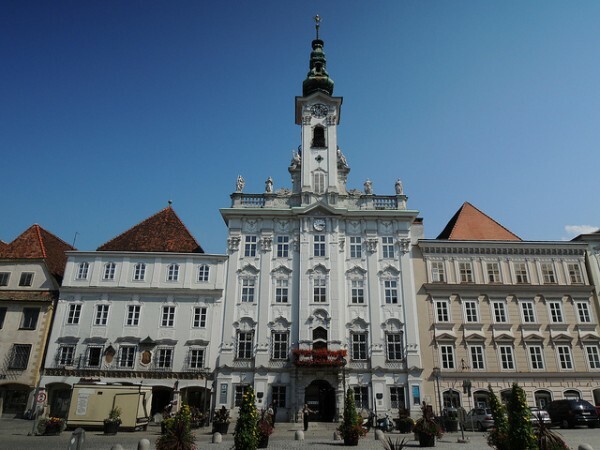 The city has many tourist attractions, but today we would like to offer you an idea of a short tour in the charming old city of Steyr. 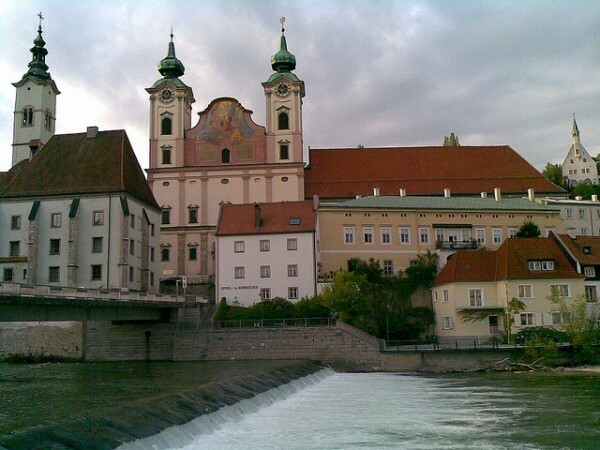 Late spring or early fall is the perfect time to visit Steyr, especially if you want to benefit of low prices. 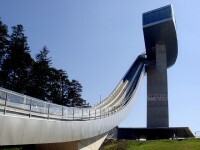 After you arrive to Steyr follow the curve of the main boulevard leading to the city center. Immediately after you take the first turn, you get to the two main bridges of the city. There you have a nice view to Michaelerkirke, one of the churches that guards the horizon line of the city. The next objective of this trip to the city center is Schloss Lamberg, a medieval castle situated on the banks of the two rivers. While wondering if you somehow traveled in time or have landed in the middle of a fairy tale, you can see the towers of the rococo style City Hall and the tower of another church, the Stadpfarrkirke. The sound of the flowing water is a delight to the ears. If you look to the left as you go over the bridge, you will see some green hills and mountains with snowy peaks. If you make a short tour in Steyr you must visit the most famous piece of architecture of the city that is called Bummerlhaus. It is considered one of the finest pieces of Gothic architecture for its size in Central Europe. The cobblestone streets and select architecture give charm to downtown. In good weather the cafes of the city are expanding to the streets. The small waterfalls, bridges, narrow streets, the cafes and bars make the walk through the city really enjoyable. If you have enough energy to climb the hill until you reach the Tabor Tower, there you will enjoy wonderful views. Alleys along the riverbanks are magnificent for an evening walk, jogging, rollerblading or cycling. You can go even to Garsten, a village in southern Steyr.